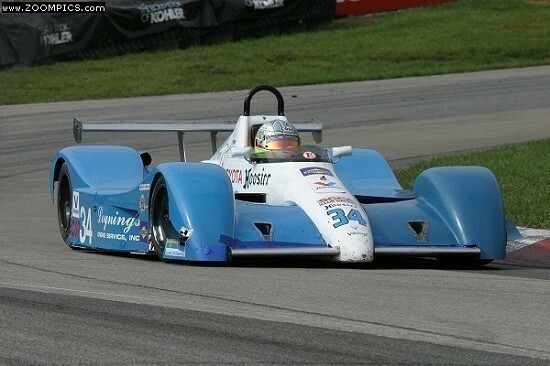 SCCA's C Sports Racer class is in jeopardy of loosing it's status as a National class after finishing 2004 with participation below the minimum level. Additional National entries in 2005 are now needed for the class to raise its average participation level above the threshold and get past its current probation. The Club Racing Board has requested input on the idea of increasing the minimum weight for the DSR class. The call went out for feedback from the club membership as published in the Fast Track section (see page F-50) of the April edition of SCCA's Sports Car mazagine. "Based on observed and measured weights and current car construction practices in DSR, the CRB is looking for member input whether to increase weight in DSR motorcycle motors to 1,000 lbs or 1,100 lbs." 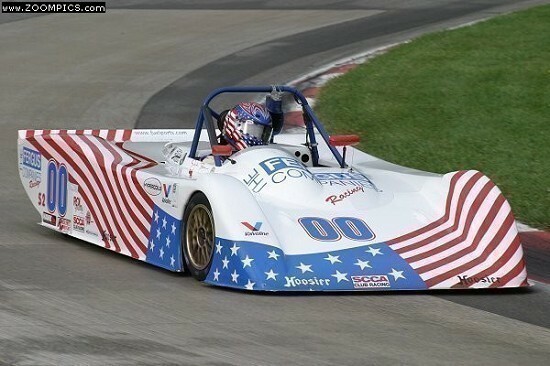 Aurora Motorsports is ordering an ADR1000 this week to be delivered to their shop in North Carolina, where they will update it to SCCA specifications. 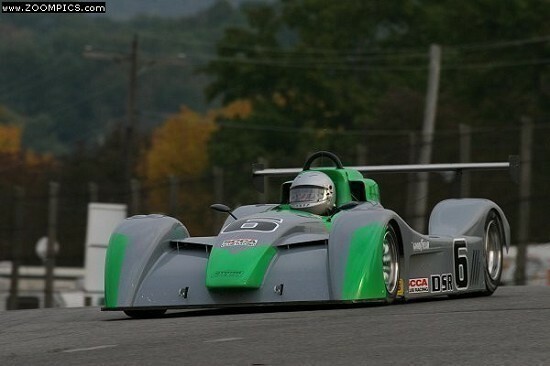 They have named the SCCA compliant car the Sport 1. The car is planned to be available for customer delivery shortly thereafter. A Technical Service Bulletin (Acrobat file) will appear in the April edition of SCCA's FasTrack with the changes effective March 1, 2005. CSR engine specification listed in the Sports Racer Category of the 2005 GCR have been changed, primarily to allow fuel injection on almost all choices, and to make competitive adjustments to minimum weights. CSR engine choices remain vast with twenty types of alternatives listed. An ambitious task has started. The goal is to develop a flexible racing platform that can be used across multiple racing classes, in which individual component assemblies could be combined into a complete car, interchanged, or incorporated into ones own application with a minimum of fuss. The concept is patterned after successful open source software projects such as the Linux operating system for personal computers. Phoenix Race Cars, Inc. will offer its Maloy DSR-1 race car with a Suzuki GSX-R1000 engine factory, installed and ready to race. Several different standard engine packages will be available in both wet-sump and dry-sump versions. All engines for the Phoenix, AZ based company are being built by George Dean Racing Engines in Seattle, WA. Each engine will be completely disassembled, inspected, blueprinted and reassembled as specified in the package selected by the buyer. 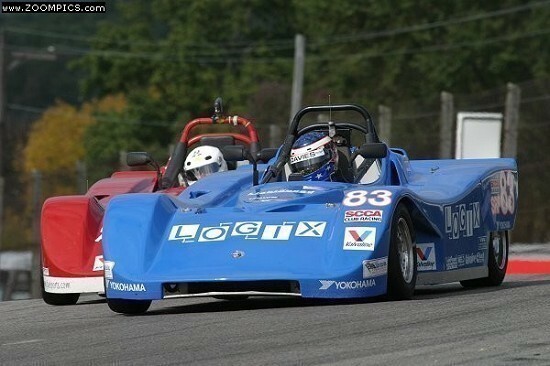 Phoenix Race Cars, Inc. has defined themselves as a leading manufacturer of sports racers by offering a contingency award program worth approximately $55K*. 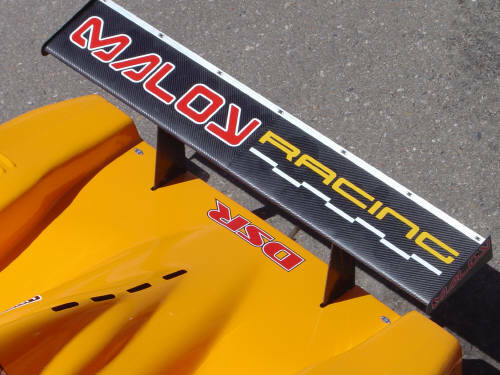 Drivers who win with a Maloy sports racer, in either the D or C Sports Racing classes of SCCA, will earn cash prizes. This formalized incentive program provides a $500 cash prize for any Maloy driver that wins an SCCA National event in either CSR or DSR. Copyright � 2001- 2005 Tom Clayton.